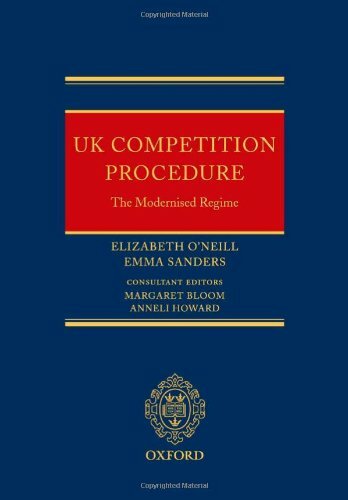 This is a clearly structured and detailed source of reference on the practice and procedure relating to competition law enforcement in the UK. It describes all of the relevant procedural mechanisms in place for dealing with competition related cases, from the extent to which an individual is required to co-operate with an authority in an investigation, to providing advice on which authority to approach to blow the whistle on an undiscovered cartel. As former Office of Fair Trading officials who were closely involved in the UK implementation of the EC competition law modernisation regulation, the authors share with the reader their extensive inside knowledge of how the new UK competition procedures are intended to work.